The Teleportation Accident by Ned Beauman. Winners can be Loesers! This book has been on my wishlist for what feels like an eternity. They say that a book can lull you in with the awesome draw of "cover power" or make you stand up and take notice with a brief but tantalising blurb. That was the case here and thanks to a timely spot at our fabulous local indie (Mostly Books in Abingdon) who were running a promotion to nab this and several other brilliant titles for the paltry sum of £2.99, I seized my chance to wrap myself up the world of one Egon Loeser (yes I kept pronouncing it "lew-ser" when I think it's closer to "loo-sser") while on holiday. Twice in fact, it's that great! Antihero? Lust monster? Meldrew-esque misery guts? It's difficult to categorise a central character that utterly defies you to find anything about him to like - yet you can't help but do so. A theatrical set designer by trade, we first meet Loeser in Germany during the rise of the third reich but long before the first bullet of World War 2 is fired. Loeser's world is governed by typically male pursuits. Lusting after unattainable females, experimenting with drugs and spending far too many waking hours as drunk as a skunk, Loeser meets a former student, Adele Hitler (yes, really but no, no relation) at a party and becomes so pivotally entranced by her, and his single-minded pursuit of her that his entire life becomes consumed by his quest. So why "The Teleportation Accident?" No there's no fancy fiddly fantastical messing around with temporal or physical displacement in the novel (which is what I was actually expecting), more the notion that a 17th century set designer came up with a physical device to move an actor instantaneously from one part of the stage to the other. This notion becomes a recurring motif for the novel as it explores surreal, comic and sometimes darkly disturbing themes during Loeser's chaotic and dishevelled mission. Ned Beauman's comic touch is worth a huge mention here. Novels that make you burst out laughing loudly on aeroplanes are probably to be frowned on (as, possibly, are novels that make you uncomfortably titter at things you probably shouldn't be laughing at). Loeser and the supporting cast are so vividly hewn that it's almost impossible not to 'see' them despite several leaps across the globe as Loeser achingly gets closer yet thousands of miles away from his 'quarry'. 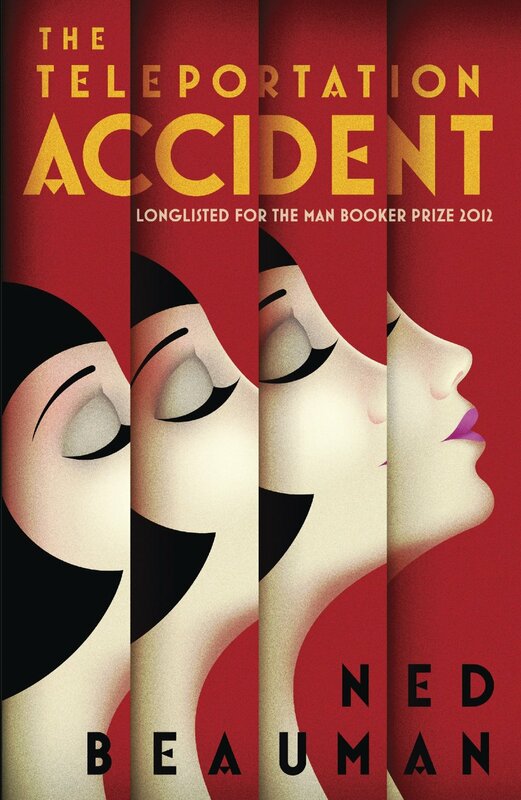 Reminiscent of bawdy 18th Century tales led by the nose through the 1930s like a wide-eyed staring adolescent, "The Teleportation Accident" does not disappoint and it's not hard to see why it was longlisted for the 2012 booker prize. In fact with Beauman's previous novel "Boxer, Beetle" already winning awards - and Beauman himself described as one of the 12 best new British writers by The Culture Show, you're in for a heck of a ride. Just make sure you tuck some clean underwear (and a suit that doesn't smell of dead skunks) into your travel case.